DO YOU EVER LEAVE YOUR PHONE FOR LIKE AN HOUR AND EXPECT TO - ProudMummy.com the Web's Community for Mums. 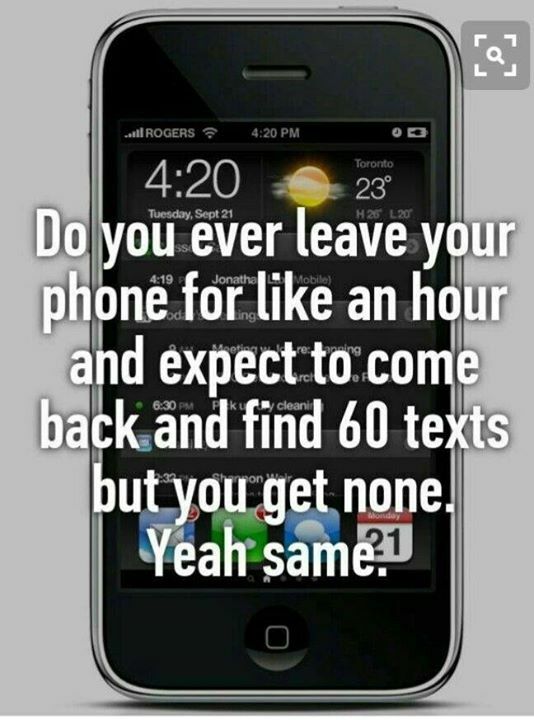 DO YOU EVER LEAVE YOUR PHONE FOR LIKE AN HOUR AND EXPECT TO COME BACK AND FIND 60 TEXTS BUT YOU GET NONE. YEAH SAME.